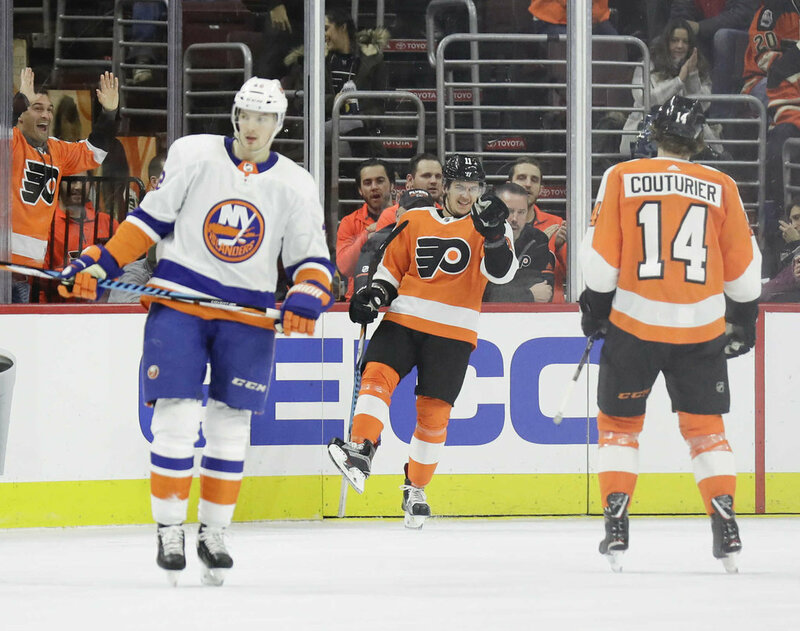 The Flyers absolutely dominated the Islanders for the better half of 47 minutes on Thursday night en route to a 6-4 win over a Metro rival. The Flyers get a much needed two points and inch closer to that elusive wildcard spot. The first period was all Flyers. Couturier got his 19th goal of the year, assisted by Claude Giroux and Jake Voracek. Stop me if you read that before. Later in the period, Cal Clutterbuck (of all people) found twine to tie the game. This was looking like one of a few typical Flyers games. The Flyers drastically out play their opponent but let them hang around long enough to steal a point. The second period was the most dominant period of hockey I’ve seen the Flyers play in some time. They scored four (!) goals in that 20 minute span. Michael Raffl tipped one home on an Ivan Provorov shot from the point. Wayne Simmonds got a nice rebound. Provorov’s wrister went clean through Thomas Greiss’ five-hole. Finally, Travis Konecny scored on a breakaway on a beautiful feed from Wayne Simmonds. The Islanders’ Clutterbuck potted his second of the night between the Provy and TK goals. Then in the third period all hell broke loose. The Islanders, down 5-2 at this point, came back to make it 5-4 with 5:25 left in regulation. Thanks in part to a tripping penalty and a fight from Scott Laughton, the Flyers were able to get the empty net goal to put the game on ice. 1. The Flyers played an aggressive brand of hockey. For starters, the Flyers went three for three on fights tonight. Travis Konecny and Shane Prince dropped the gloves in the first period. Konecny held his own and won the fight. Then in the third period both Sean Couturier and Scott Laughton got into fights, both coming up on the winning end. Couturier’s came after he absolutely leveled Anders Lee. This fight gave Coots a Gordie Howe hat trick. Scott Laughton’s came with :49 left in the game. Here he is taking on Jordan Eberle. I’m not saying I want the Flyers to get in three fights a game for the rest of the season, that’s just silly. What I did like, however, is that they were playing aggressive, passionate hockey, something that hasn’t been seen as of late. 2. The PECOOO POWER PLAY! The Flyers went 3-4 on the Power play on Thursday night. Provorov, Raffl, and Couturier all scored goals on the power play. The Raffl goal was huge, it was the first goal scored by the second unit that wasn’t assisted by someone on the first unit. In the third period it looked like the Flyers were playing not to lose instead of playing to win. This gave the Islanders life in a close game. The Flyers put up six shots in the third period while the Islanders put up 17. That’s ridiculous. Playing to protect the lead for 20 minutes is a recipe for disaster. The Flyers were lucky to walk away with two points after that. 4. Shut down defense otherwise. For the past two games, I saw nothing but negative on Flyers Twitter, mostly with people saying they let up goals to players who don’t usually score and such. While that is a fact, someone like Cal Clutterbuck shouldn’t have a two goal night against anyone, there is a silver lining to this: the Islanders top two producers (John Tavares and Josh Bailey) combined for one point in Thursday night’s game. If you ask me, I would much rather watch no names score fluky goals against the Flyers than watch big name guys chew them up. 5. Give Elliott some rest. This should go without saying. Brian Elliott started the last 15 games. He has been looking progressively worse as the starts accumulate. Michal Neuvirth will get at least one start this weekend. Here’s hoping he gets some more time next week on the road trip. 6. The kids are all right (Part II). Travis Konecny: Let me start by saying I love him on the top line with Giroux and Couturier. They mesh so well, it’s really giving TK a chance to show his offensive game. He finished the game with a few shots, a couple chances, a goal, and a fight. I was hoping he could get a Gordie Howe hat trick as well. I can’t wait to see his game continue to grow. Jordan Weal: Weal played on a line with Nolan Patrick and Wayne Simmonds. I love this line too, for what it’s worth. 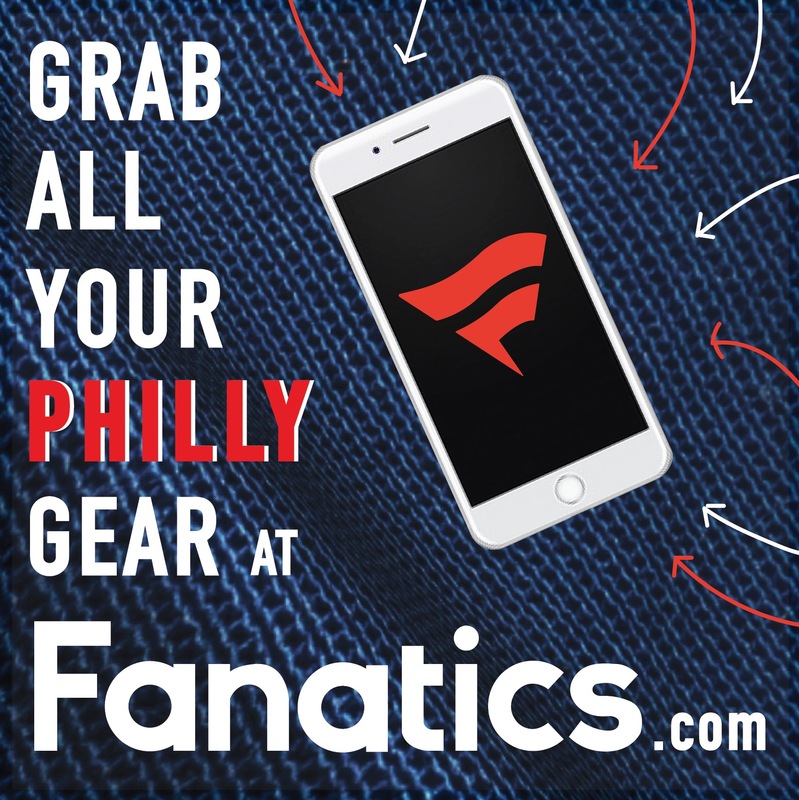 Weal brings speed, Simmonds is a veteran presence and Patrick has a pretty high hockey IQ and can learn from two guys who have been around the block. Anyway, I wrote that Weal could build off his performance Tuesday night where he netted the Flyers’ lone goal. He had an assist on Thursday for two points in as many games. He is starting to heat up. Nolan Patrick: Patrick has shown some growth in recent games, and playing on a line with two offensive weapons should do wonders for his game. He had an assist against the Isles, a pretty no look pass to Provy who got the puck past Greiss. The kids are all right. Here’s hoping Hakstol continues to play them so they can continue to blossom. The Flyers return to action on Saturday at 1:00 to take on the St. Louis Blues in Brayden Schenn’s first game back in Philadelphia. You can follow Anthony Mazziotti on Twitter (@AntMazziotti) and e-mail him at anthonymazziottiwriting@gmail.com. 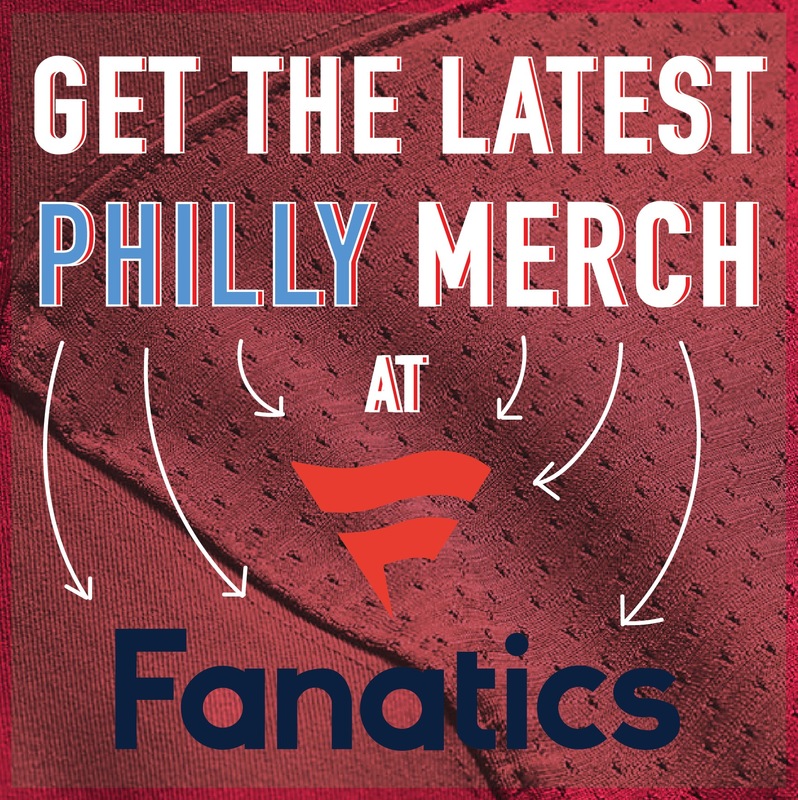 Follow Philly Influencer on Twitter (@PHL_Influencer), Facebook and Instagram.